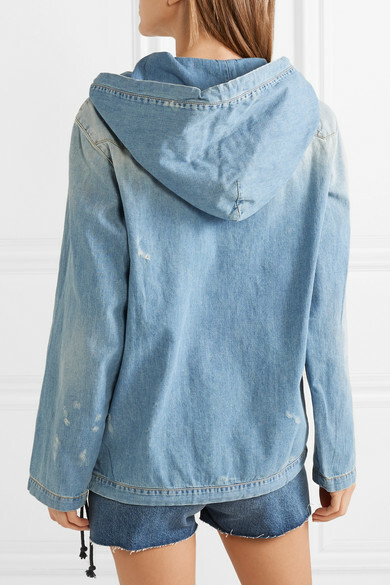 Saint Laurent adds thoughtful detailing to even its most casual pieces. 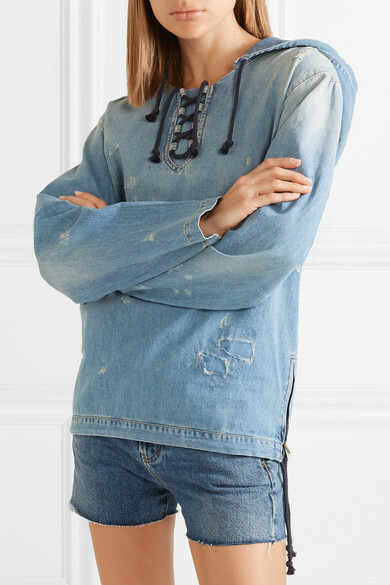 This hoodie has been made in Italy from lightweight denim that's artfully distressed, faded and traced with lace-up ties along the neckline. 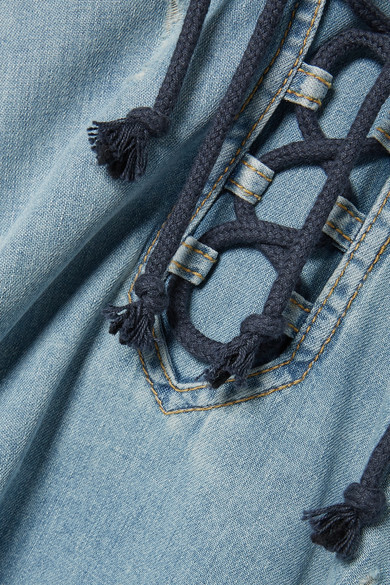 Balance the loose fit with the brand's embroidered shorts or skinny jeans. 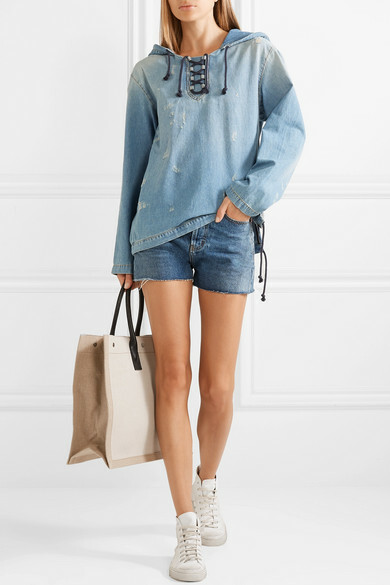 Shown here with: Saint Laurent Tote, Saint Laurent Sneakers.